What's the best value? Thx! I bought a used Porsche Tequipment Car Cover which fits perfectly and looks great and since it's used, it was well below its list price of $300. Search often on the main Porsche forums (here, P9) and be patient and you should be able to find one for about ~$150. I'm thinking of getting the Porsche cover. Is your cover an indoor or out door? Also, does it have a flannel or cotton liner? In the past I used one called Dustop for indoor only. Great cover. Costco has car covers on sale now - medium size for Caymans. They resemble CoverCraft car covers, and are priced at either $30 or $40... now that's value! Sorry I missed your question DBH. Mine is indoor and it has a soft liner, but not sure what material it is. 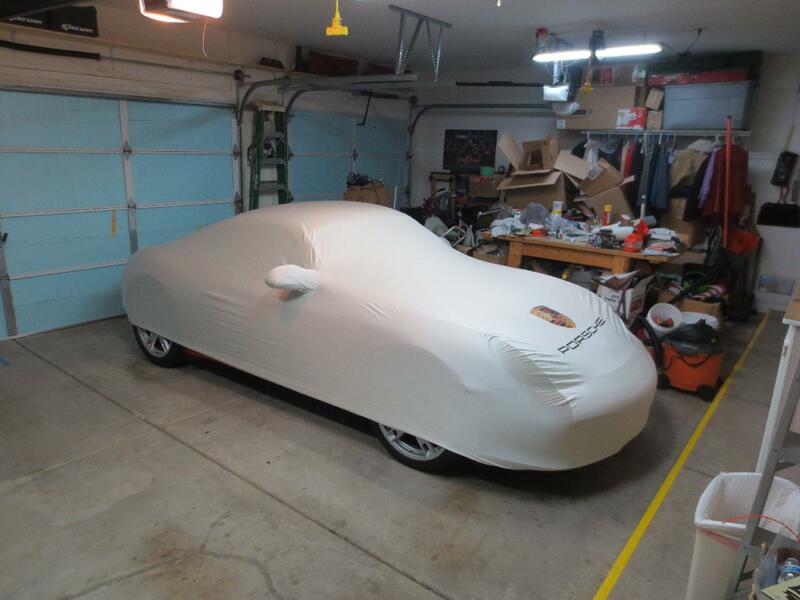 I have a new Porsche cover that I will sell cheap. Make me an offer. ^^^And there you are. Porsche cover is very soft on the paint side and fits very well. They are made to fit the contour of the Porsche. I think Eddie's comments are spot on. Please shoot me a PM. Thanks!